In order to grow, it is critical for family businesses to have access to affordable and dependable sources of energy. Many business owners depend on energy supplies at globally competitive prices to operate and effectively run their businesses. According to the National Federation of Independent Businesses, energy costs are one of the top three business expenses for nearly half of all small businesses. Businesses use energy for several business-essential purposes. The primary energy cost for 38% of small firms is operating vehicles, for one-third of small firms is heating and/or cooling, and for one-fifth of small firms is operating equipment. Energy costs have increased rapidly over the last few years. Small business owners are not able to adjust the price of their goods and services quickly enough to match potentially steep energy cost increases without negatively impacting their customers. Additionally, owners are not able to change business practices fast enough to offset the increases. Lastly, the depreciations schedules in current tax policy don’t encourage small business owners to invest in new, energy-efficient equipment. There are common-sense energy reforms that can alleviate the financial burden placed on family owned businesses. Family businesses want lower utility bills and comfortable, environmentally friendly work environments. As energy costs rise, family business end-users are becoming acutely aware of the burden inefficacy can have on a business’s bottom line. The utilization of energy efficient equipment remains one of the easiest and cost-effective ways to reduce energy costs. In 2016, the commercial and industrial sectors of the US utilized nearly 4.5 trillion BTU’s of energy, with electrical and environmental control equipment being the largest contributors to a business’s energy costs. Government regulation consistently tops the list of challenges faced by small business owners and entrepreneurs, and regulatory compliance costs can easily be the difference between staying in business or closing for a small, family owned business. On average, small business owners spend $12,000 on regulations compliance every year. Family Businesses for Affordable Energy sent letters of support for the nomination of Scott Pruitt to be Administrator of the Environmental Protection Agency. Mr. Pruitt has been a vocal supporter of commonsense regulation that will protect the environment and allow businesses to thrive. Family business owners need access to safe, affordable, and reliable energy sources. A diverse supply of fuels and technologies to generate electricity balances the benefits and risks associated with each source, including clean air, reliability, and economics. The supply mix is an extremely important factor which goes into setting the price of power and ensuring the system’s reliability. Nuclear energy, coal, and natural gas generate America’s baseload electricity. Coal generates 37 percent of our total electricity; natural gas, 30 percent; and 100 nuclear energy facilities in 31 states generate 19 percent. Hydropower and renewables together provide nearly 13 percent and oil, less than 1 percent. 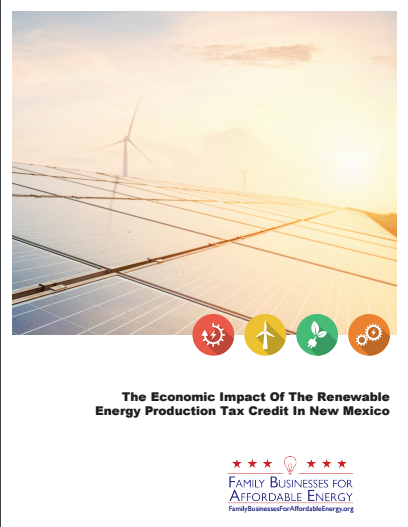 Family Businesses for Affordable Energy (FBAE) today announced a new economic impact study, finding that New Mexico’s solar/wind tax credits have created more than 11,700 jobs, $1.6 billion in economic activity and more than $600 million in new labor income. Family Businesses for Affordable Energy launched a new website for consumers and policymakers to better understand how to protect solar power customers from predatory companies, unsafe construction, and other hazards. 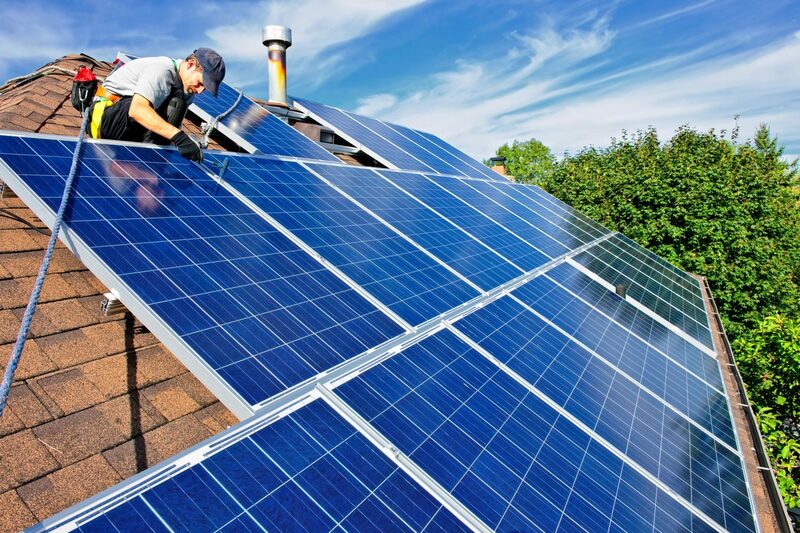 The website, which can be accessed at www.MakeSolarSafe.com, shows how consumers have been affected by bad actors in the solar industry and offers ways government can help protect owners of solar panels.